Saracens booked a place in the Anglo Welsh LV Cup Semi-finals when they beat Exeter Chiefs 14-10 at Allianz Park on Sunday. Gloucester had gone to the top of Pool one so Saracens knew they had to win their final pool clash to qualify for the knock out stage. 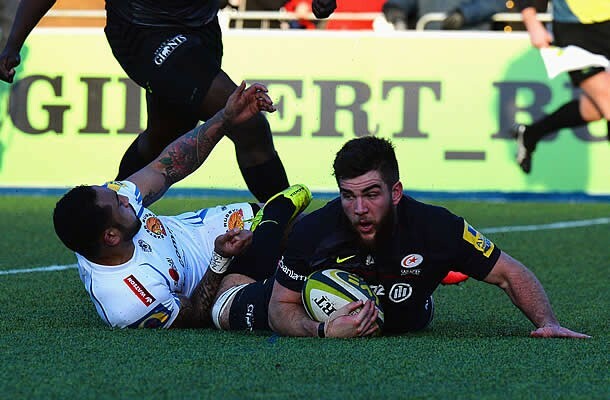 Saracens wrapped up their home semi-final spot by running in five tries past Exeter Chiefs at home on Sunday. The two teams could meet again in the final depending on the outcome of the next round, but the hosts were well on top in this encounter. 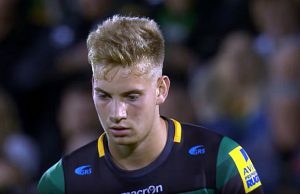 Saracens flanker Nick de Jager scored two tries either side of half-time, with scrum-half Ben Spencer converting all five efforts. 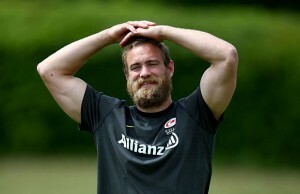 Tim Streather opened the scoring and after De Jager found his way to the line Saracens were well ahead at 14-0. Ten quick points from Exeter including Sam Skinner’s try brought the visitors back into it and the Chiefs took the lead just after half-time thanks to Tom James’ five-pointer and a Ceri Sweeney penalty. 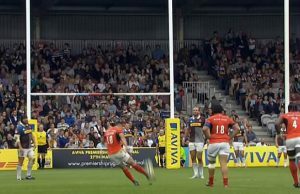 The final half hour was all Saracens though, with Romanian back Catalin Fercu crossing and De Jager adding his second before Matt Hankin completed the scoring.